Where are the Chinese? 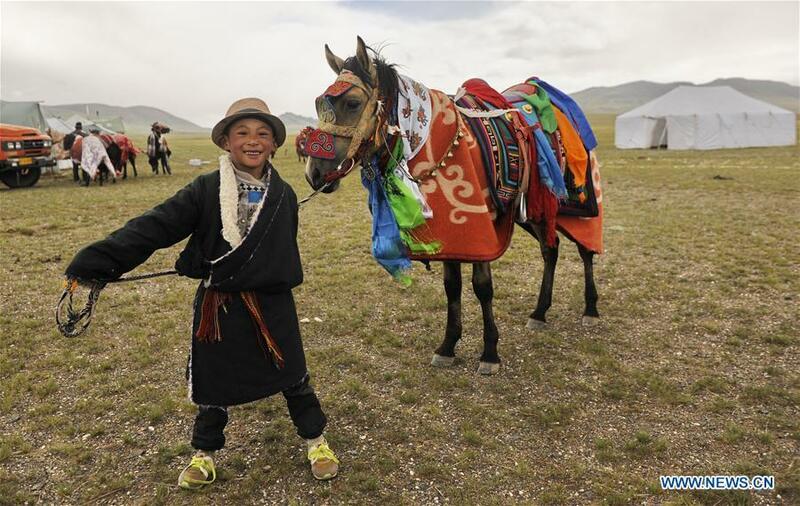 Most photos of China show hordes of Chinese. You are in Qingdao, yes?. Which is on the eastern seaboard with Korea and Japan very close. It is the No. 1 city in the province. It appears to be an old established city similar to Bangkok, commercial ports, industry, provincial administration, yes? How does it differ, if at all? Do the urban Chinese emulate the urban Thais? Are they at similar "levels" of wealth, social activities, education, what % of your Chinese contacts speak English enough to hold a conversation with them, etc.? Your encounter at the gym suggests "newcomers" are not exactly welcomed by "old hands", would that be your opinion so far, or "it's too early to tell"? What are the "social" media sites like, surely there are lots of felang and Chinese advertising "get together opportunities". if not start one. From my past experiences wandering around the cities alone in the evenings, looking for somewhere to eat, there are always "forward ladies" who want to practice their "English Skills", for a price. Similar to Bangkok. The lack of crowds also surprised me, Qingdao is chilled out for a city of some 10 million- subway gets rammed, but that happens around the world. I would say there are greater levels of wealth in Qingdao than Bangkok, but he Chinese "businessmen" in Mandalay have far more disposable income than moneyed up Chinese or Thais. My local Chinese contacts speak decent English, enough for a good conversation about a variety of topics. Going for a wander around Beer Street now, so hopefully find some friendly locals. I'm really not sure about other expats, met a friendly Russian lady at the supermarket and we are going for coffee tomorrow. Early days, so much more to come. 1. I can send 500USD a day top whack- that is annoying as work finishes when the banks are closed. 2. With the correct paperwork I should be able to send up to $50,000 total in the entire year- hoping this is the case. I should be able to send up to $50,000 total in the entire year- hoping this is the case. So sending your monthly salary out every month seems difficult. I've heard that some of the "friendly ladies" are able to assist you, for a fee. Has your term started yet? If you build it, they will come. 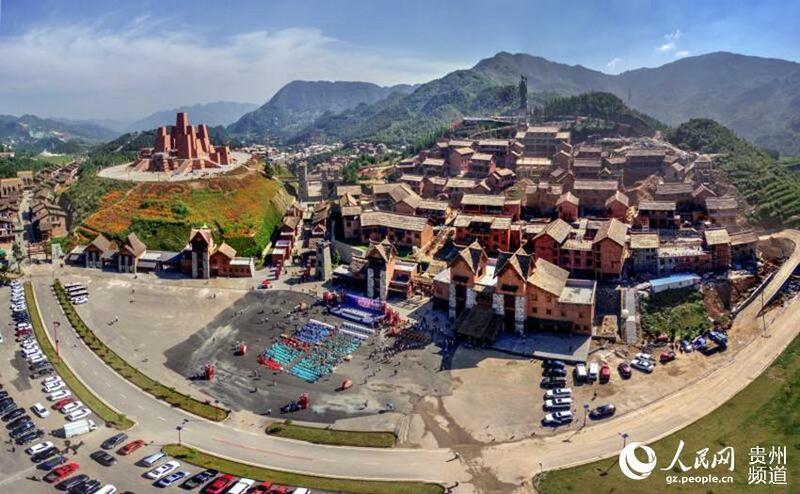 The phrase could not be more apt than for the city of Liupanshui in Guizhou province, which through building a mammoth, interconnected tourism industry is lifting itself out of position as the poorest province in China. After a week in Liupanshui city, it’s clear to see the vast improvements that are being made to entice people in and the vast mountain regions that mean visitors are sure to come flooding back. The people you meet here seem happy, and are proud to let you in on their unique culture and beautiful surroundings with broad smiles. As you drive through the province there is construction everywhere, and not just for the benefit of visitors. Locals are building extra floors on their farmhouses, or extra homes next door. You get a sense that although people are already moving out of poverty, the people of Guizhou have something much bigger planned. "Tourism + poverty alleviation + three strategies"
While many poorer areas in China have previously focused on agriculture and industry, Guizhou is using methods to combine already present industries with tourism, hoping to make the city of Liupanshui as famous a destination as Guilin in neighboring Guangxi province. Using the “three strategies” reform of comprehensively eliminating poverty, building a moderately prosperous society and promoting basic modernization, the region is using a system where industries work with and rely on each other, creating a circle of support, opportunity and ultimately wealth. 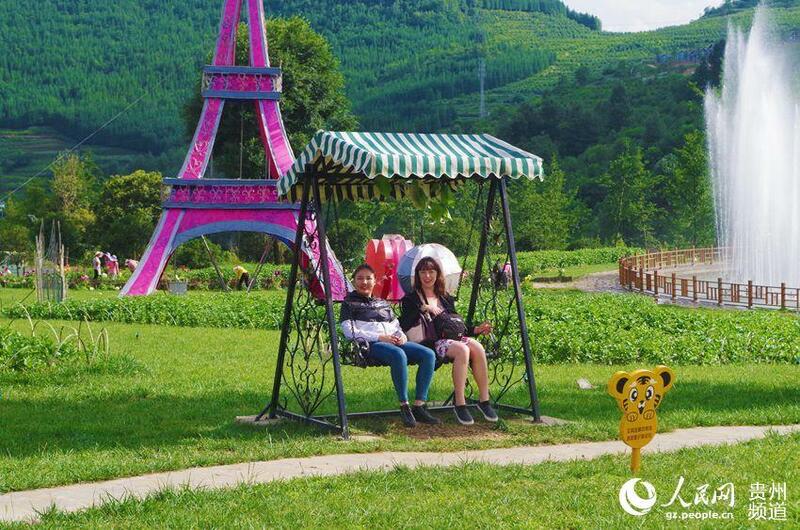 Starting by using tourism as a method of poverty alleviation in line with the government’s reform is a bold move as Guizhou, until recently, remained fairly unheard of to those outside of China. Seeing the opportunity for growth, Liupanshui municipal governments and Guizhou provincial government have invested in all areas across culture, scenic spots and agriculture to make every corner of the province richer. The wild jade sea scenic spot and Yi village is the perfect example of how cultural tourism will work in tandem with poverty alleviation in one of the 100 tourist scenic spots that Guizhou is currently planning or building. The government will help 169 groups amounting to 4,213 people who were previously sporadically placed or in small, poverty stricken villages, resettling poor households in nearby tourism service areas. Therefore, villagers who previously had no income will be able to not only live in a new, purposefully made village but also gain employment in a new tourism hub. Tourism will not only include visiting the villages and scenic spots, but taking part in cultural activities such as welcome dances, bonfire parties and wine tasting. This model not only effectively solves the problem of people living in poverty, but also inherits and develops the national culture. A finished version of a cultural heritage village is Langdai ancient town. The streets are crowded and children wearing cutesy t-shirts and eating snacks peer out of their doors curiously. This town is lived in, but it’s also a tourist destination. The merging of ancient culture and modern society is evident with a trip down Food Street, as you watch villagers make traditional rice cakes next to a child playing a game on their parent’s phone. 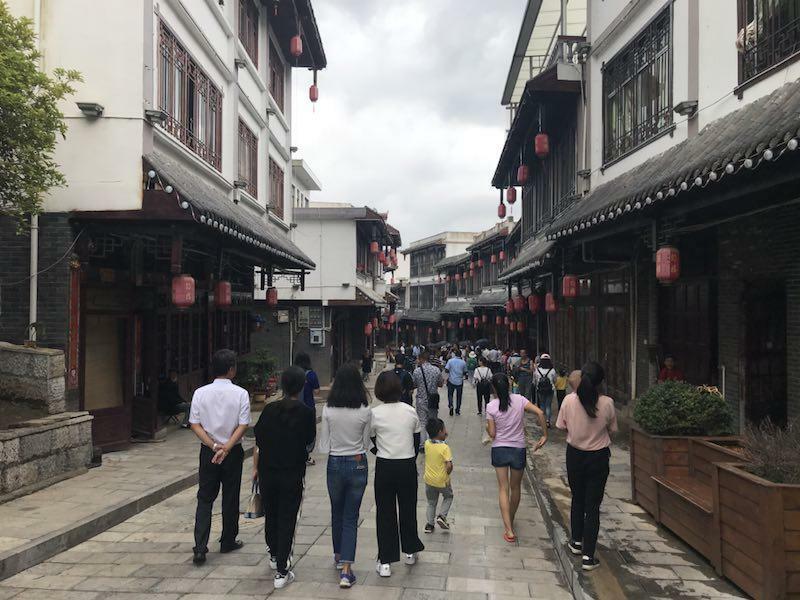 Again, this town lives from an influx of tourists from Huangguoshu scenic spots and the Zangke River, which the government has purposefully regenerated to bring in more visitors. The Zangke River scenic area is located to the north of the Panjiang river valley area, covering an area of 259 square kilometers. 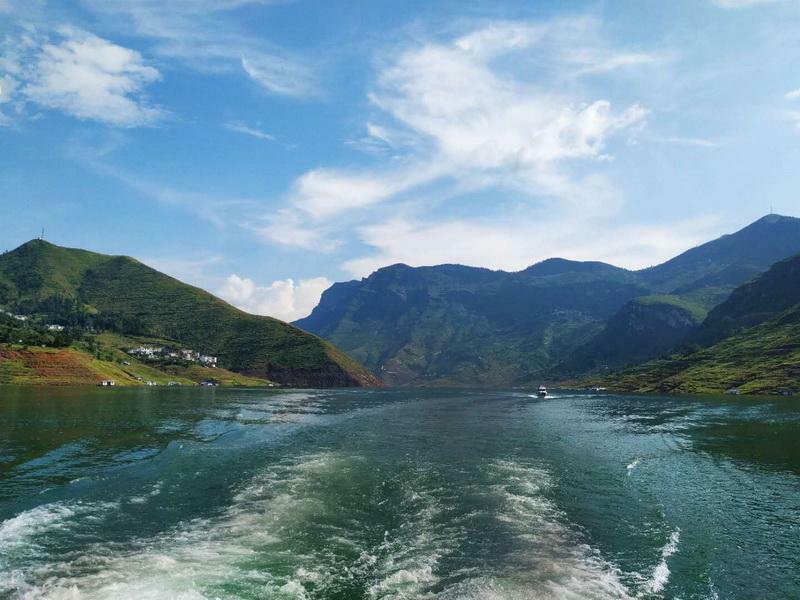 The steep rocky walls to either side of the river give way to beautiful green-blue water, rolling hills and tiny fishing villages. The only sound comes from the boat moving through the water and the distant knock, knock, knock, of another house being built. Locals from this peaceful area are making the best of the new scenic area. “I used to work in the town as a clothing business and was barely able to support my family. Now I have a happy farmhouse and my income has increased tenfold," said Qiu Xiaoying, who used her savings to buy two speedboats to carry tourists along the river. 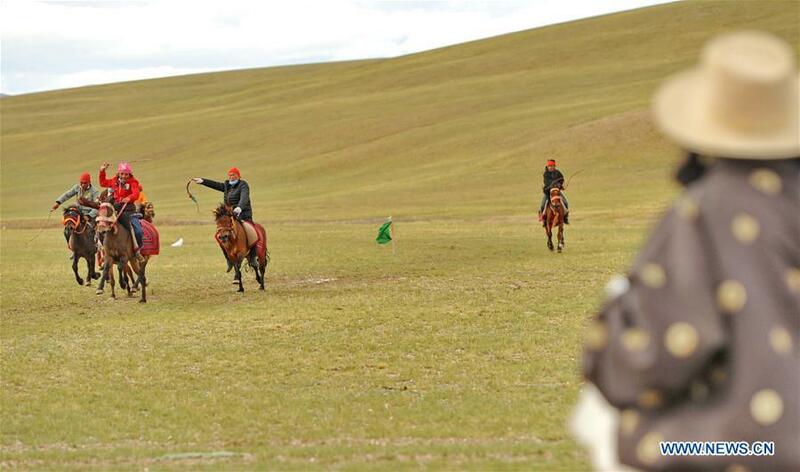 The government doesn’t merely rely on traditional culture and local scenery to get tourists interested. 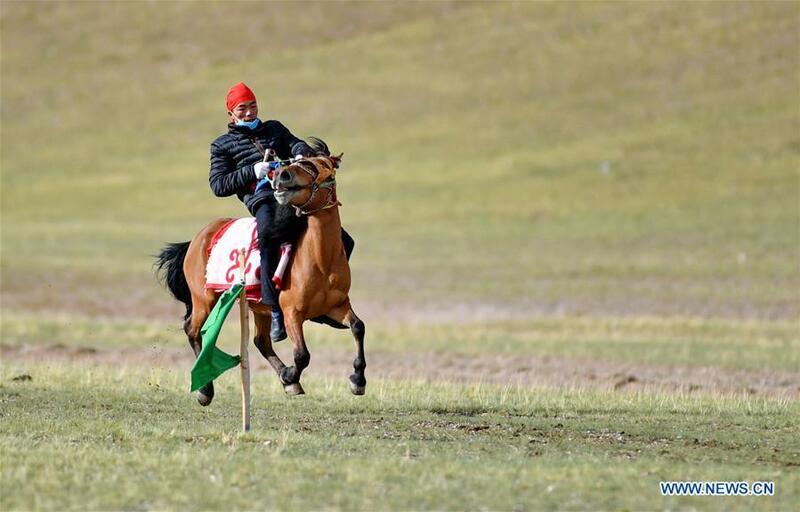 They are building ski slopes, cableways, paragliding centers – the list goes on. Cleverly creating a model where each industry feeds the next, no stone is left unturned when it comes to investing in the areas that will boost the region’s income. As an area with obvious rich soil and extensive farmland, as well as a history of farming that goes back hundreds of years, the implementation of agricultural products that are specialized to the area and can be sold to tourists domestically and also exported was the next big challenge. 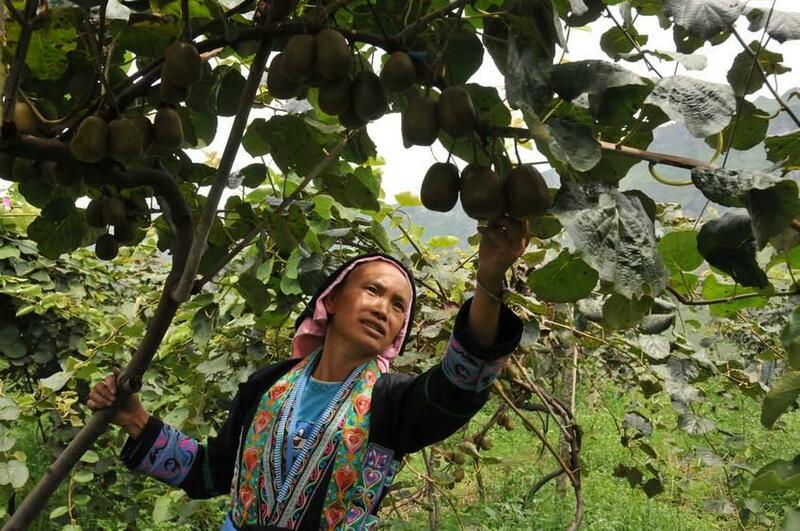 Luckily, Guizhou has perfect conditions for the red hearted kiwi-fruit to grow, as well as blueberries, grapes, and a variety of other delicious options. These are popular with people near and far, with 6700 mu of kiwi fruit orchards being built with over 60 million yuan of investment in this farm alone. Not one to miss a trick, the area won’t only rely on selling to towns and cities home and abroad, but will also create its own tourism, with a sightseeing and fruit picking area, perfect for a family day out. 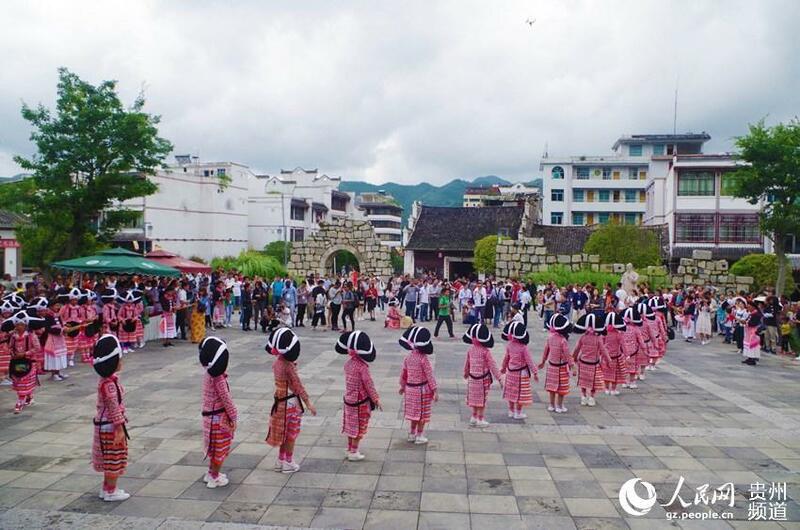 By going full circle, all industries in Guizhou are not only self sufficient, but also connect and support other tourism avenues, too. It’s through this type of clever thinking and investment that China will continue to win the fight against poverty and has a very real chance of completely eradicating the country’s poverty by 2020. If you can open an account on a Chinese exchange and have one in your home country you can transfer instantly for a few pennies. Typical set amount is about 0.005 ETH. Buy, transfer, sell. Pretty much instant with as good as no fees. Tah, for all the great posts and pics OhOh and thanks for the banking tips Luigi. Hit up beer street tonight and it did not disappoint, bit drunk so excuse the typos and rambling. Beer Street is pretty much what it says on the tin. Wish I had eaten here rather than at home, seafood was looking good. It goes on and on in much the same manner- lots of nice family run restaurants, I'll probably eat here tomorrow. I don't like crybabies either! The beer museum itself, something for another day. Last edited by Mandaloopy; 08-08-2018 at 09:09 PM. How much for the jug? I'll be there by the morning. OK how many locals approached to "improve their English language skills", don't be shy. Not pictures needed tonight I'm sure your tongue needs a rest. I'll probably eat here tomorrow. What will you try first, the other brews, the food or something exotic? Hung out with a table of six locals, each with a varied level of English. I'm starting to get somewhat concerned-as previously stated, the school campus looks a bit different and is currently a construction site. Prepping for school starts in 5 days, but nothing looks ready. I was cheerfully informed I might be teaching in an old shipping container that has now been made into a classroom. Which is not the end of the world, taught classes in that kinda space or smaller. Doing the PYP and doing it well is going to be a shade tricky with no outside space or area to perform in class- bit of a big deal, I'm supposed to integrate drama and dance (among other things) into my classes as the whole curriculum is interdisciplinary. Hopefully this will be sorted before winter, I didn't notice any heating in the shipping containers. As a decent human being I'm oddly enough opposed to making children learn in sub zero temperatures when there is no need for it. I really, really hope I am wrong about this. I like the city and living arrangements- sure compared to Myanmar it is a little boring, but it's a massive country with lots to see and do- with very little travel restrictions compared to Myanmar. This is going to be an interesting year; buckling up. I'm supposed to integrate drama and dance (among other things) into my classes as the whole curriculum is interdisciplinary. Relieved by that (wipes sweat from the brow), cracks open a beer and sharpens his lumberjack axe. Your posting history suggests the first is 'doable'. Watch the old John Travolta movies & Patrick Swayze in Dirty Dancing. Then watch Dancing with the Stars (or similar dance show). I'm sure you'll get some ideas... unless you have 2 left feet. My highest PE grade was dance - my dad was a good dancer & singer, so it's kinda genetic. I didn't notice any heating in the shipping containers. Some sneak photos wouldn't go amiss. They're just teasing you. Your classroom is the outside playground. If the kids want heating they should have gone to a private school. As a decent human being I'm oddly enough opposed to making children learn in sub zero temperatures when there is no need for it. It builds character. 15 minutes of digging a hole, followed by 5 minutes filling it in is fine for keeping warm. Some can perform the role of guards and get them dancing. PE, Dance and Drama all in a 30 minute class. Watch these movies, if you've not seen them before. Got an induction on Friday, so will sneak some shots for you. Met the Russian lass in some fancy mall 10 mins drive away, it was nice to chat and hang out with another expat. Mall is way out of my league tho- Porche dealerships, Prada, Versace and so on. I'll stick to markets and Wallmart. @Katie- I'm also allowed (thanks AO! I'm gonna blame the VPN cos it changes spelling and makes me stupid) to do the arts through music. I figured I'd get the little darlings to belt out "Fairytale of New York" for the Christmas Show. Last edited by Mandaloopy; 11-08-2018 at 09:10 PM. ^watch Step Up & other dance-themed movies to get more ideas. Since your students will be very young (1st graders?) just let them do calisthenics or Zumba type dances/ exercises. Let them dance to Gangnam Style, Shake it Off, Despacito, Havana or whatever new hit song will come along. Look on YouTube for Zumba videos - lots of ideas there. There are even vids/dances by male instructors wherein the steps are more macho & not very girly. There are even vids/dances by male instructors wherein the steps are more macho & not very girly. Decided to leave my local neighbourhood and head to Taidong Shopping Street- famous for its painted buildings, seafood and clothing stores. There was also a Walmart- it was grim. Enjoying the pix. Keep 'em coming. There was also a Walmart- it was grim. Was it full of cheap tacky ameristani things? What price were the lobsters and crabs?